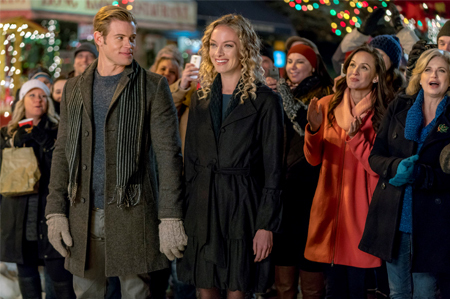 Its a Wonderful Movie - Your Guide to Family and Christmas Movies on TV: Marry Me at Christmas - a Hallmark Channel Original "Countdown to Christmas" Movie starring Rachel Skarsten and Trevor Donovan! 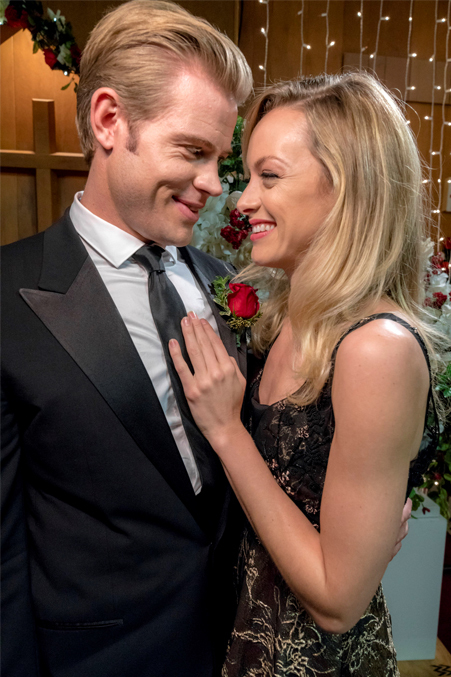 Marry Me at Christmas - a Hallmark Channel Original "Countdown to Christmas" Movie starring Rachel Skarsten and Trevor Donovan! 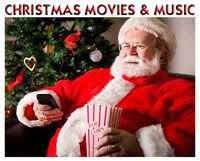 *Please note: the premiere time for Christmas movies is 8pm EST/7c. 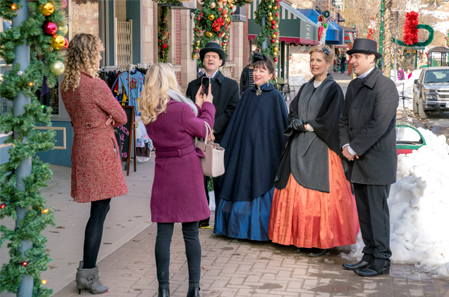 Storyline via Hallmark: Organizing a Christmas wedding is a true treat for bridal boutique owner Madeline Krug. She loves the challenge of finding the perfect dress for the bride and orchestrating an exquisite event. What Madeline didn’t expect was to be swept off her feet by the bride’s gorgeous brother, movie star Jonny Blaze. Jonny came to the quirky town of Fool’s Gold to support his sister — not to fall in love. Yet Madeline is the most extraordinary woman he’s ever met. Planning the perfect wedding leads to candlelit dinners and strolls through snow-covered streets. Madeline finds the real Jonny even more captivating than her celebrity crush. Will the action star be brave enough to take on the role of a lifetime? 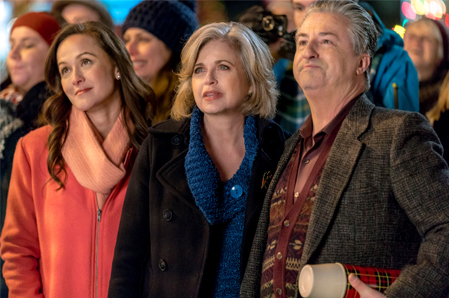 This is the movie that officially launched the 2017 Holiday Season on the Hallmark Channel. 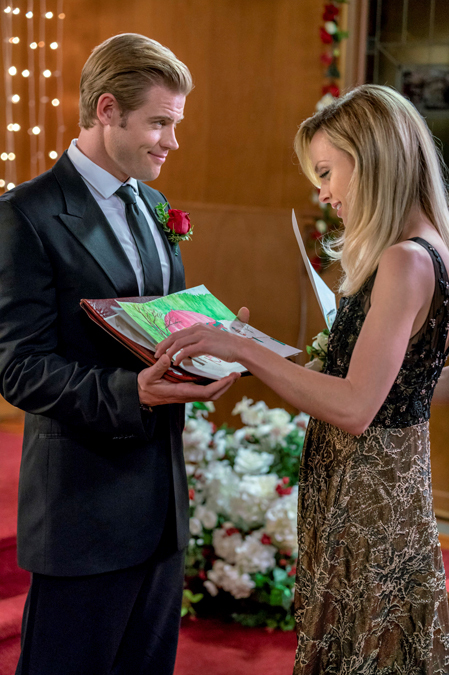 Immediately I was drawn in by this particular story… the movie star, Johnny Blake, who comes to the small town to help plan/attempts to take over his sister Ginger’s wedding. Possibly, as they plan, Johnny starts to fall for the sweet and simple, yet confident, small town, bridal shop owner, Madeline, who is carefully guarding herself as best as she can from the charm, lights and glimmer of having her heart crushed when Johnny Blake returns to Hollywood. In the meantime, Maddie is doing her best to pull together a wedding for Ginger in such a short time, decorate for Christmas, spend time with her parents, and save her bridal business – which may not be easy to do- since she shares the shop with her best friend, Isabel, who may go about some unscrupulous ways to try and keep it! When areas of mistrust present themselves to both Johnny and Madeline, will they be able to find a way to open up their hearts once again? I think you will enjoy this Hallmark Happy Ending… perfect for family viewing! It's almost a month away now! 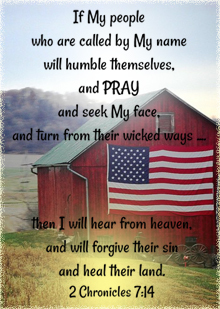 I can hardly believe it! Some people will probably nag and say October is way too soon, but not me! Bring on Christmas! 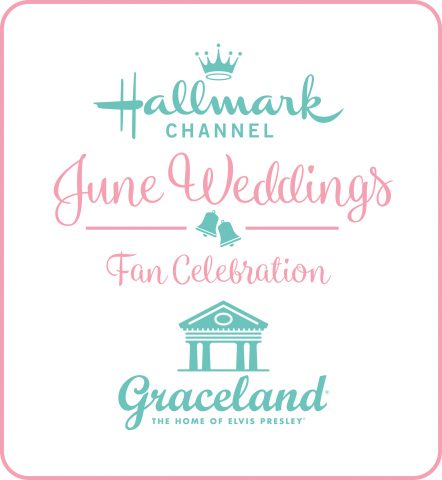 Watch out Paul Greene, Brennan Elliott, & all the Hallmark hotties! That Trevor Donovan is quite a cutie! 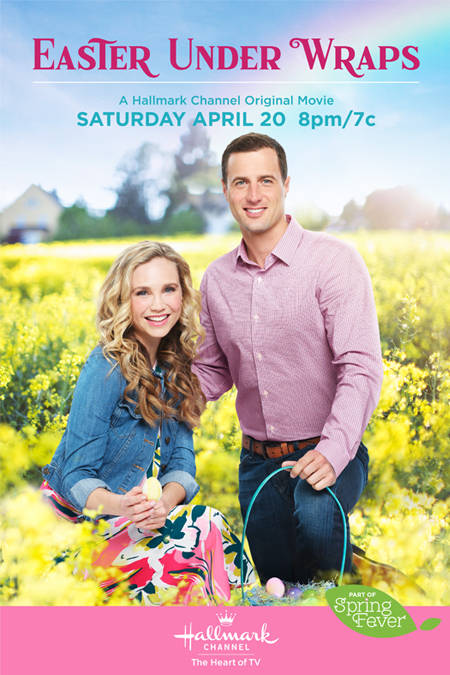 I'm counting down the days until this new one airs on Hallmark...36 days to go!!!!!!!!!!!!!! I love Trevor Donovan, his dogs Tito and Dogbert on You Tube are adorable. Cant wait for this movie. Loved this as a book--can't wait to see the movie! I loved the book too, I love when they make movies out of books I love. I am currently listening to the newest Aurora Teagarden book, it is well ahead of the movies, but they have been making a lot of movies lately so they may catch up, I think they are 4 books behind. On another note, the actress in this movie, I don't know her from anything. Maybe she will be come my new fave. Of Course I love Trevor. 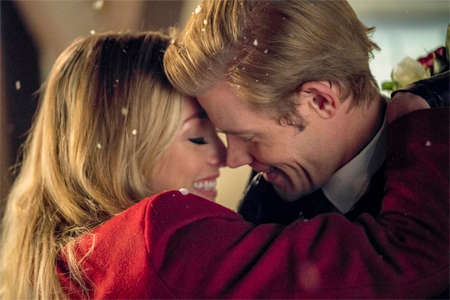 I absolutely loved Marry Me At Christmas! 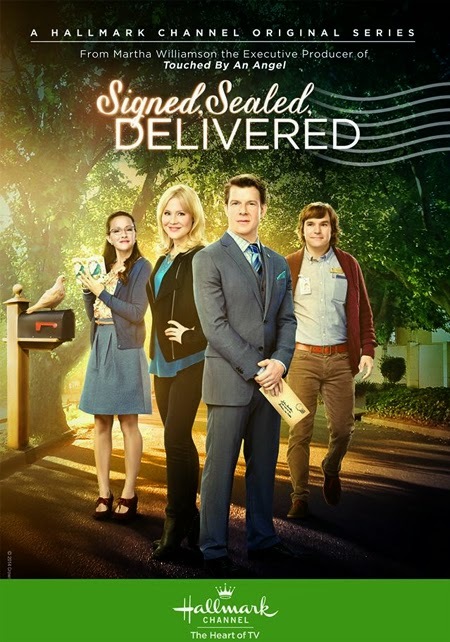 Funny and sweet, with fantastic chemistry between the leads and that great homey, small town setting I like so much. I always enjoy when the story focuses on both the guy and girl, and I also particularly like the movies where the conflict comes from somewhere other than a "not-so-Mr. or Mrs. Right" that one of the leads is with. This was a solid start to Countdown to Christmas in my book! 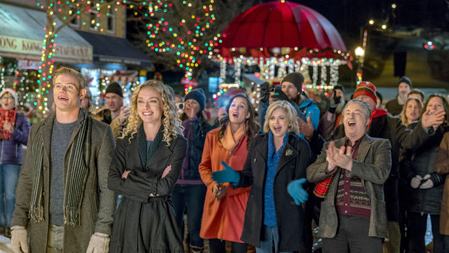 "Everything's better when you're in good company", one of the better scenes in a Hallmark Christmas movie and shows off the great chemistry. I loved this movie! 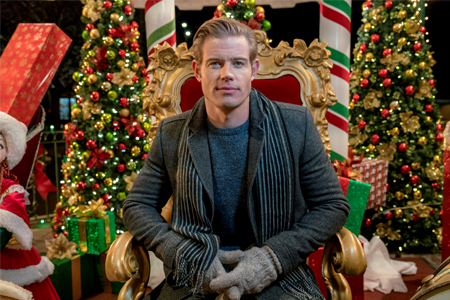 I'm hoping this means we will be seeing more of Trevor Donovan, he's a real Hallmark heartthrob! This one was better than I thought it would be. Trevor was totally believable as the pampered celeb. In fact, I've watched it now 3 times! Loved the movie! I found it to be as good as the best new ones from last year which is rather heartening. There have been too many rushed duds the past couple holiday seasons and I'm holding out hope that trend has been reversed and that they will all remain at or above the bar set with this great opening film. I loved this movie. What a wonderful start to countdown to Christmas. It was funny great chemistry and great story!!! Definitely will watch again. 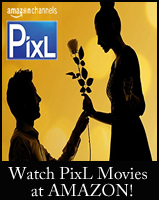 Net thanks so much for making it easy to know what great movies will be coming on!! on a scale of 1-10 this movie is a solid 9.5. That makes it somewhere between great and awesome. 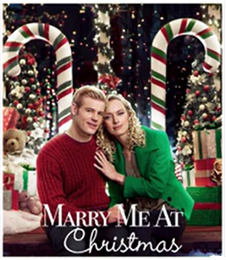 I watch each Hallmark movie at least 3 times, but this one I have watched 11 times so far. Showing it first may have been a mistake because it sets the bar so high, I sure hope not. 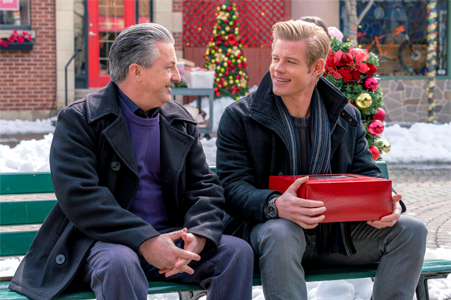 After the frankly awful Love On A Limb it was great to see Trevor Donovan get a good script and he made the most of it. 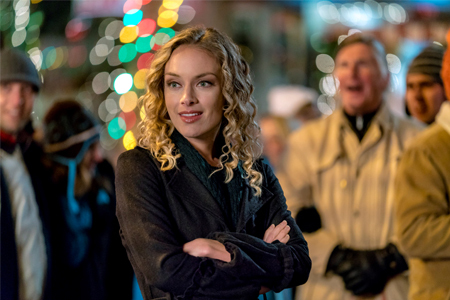 He and Rachel Skarsten made a great couple and this was a heartwarming movie with all the usual Hallmark attributes, an appealing small town setting and believable storyline. I didn't like Madeline's business partner though - after the betrayal she ws too quick to forgive her. How could you ever really trust in her again? This was a really excellent start to the Christmas Season - hopefully the standard will remain at this evel. I would give it a solid 8/10. This wouldn't have been on my list of "can't miss" movies when I saw the full Christmas list. But 4 weekends into the Christmas Countdown this remains the best to date. 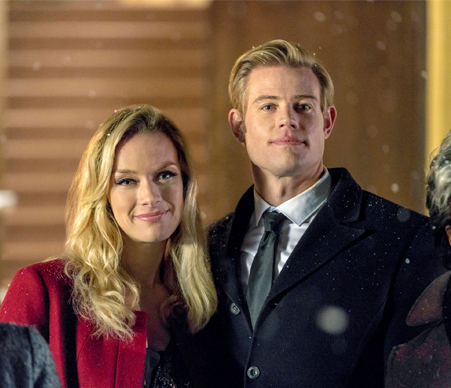 Rachel Skarsten and Trevor Donovan were awesome with great chemistry between them, the story wqs believable both humourous and touching. We've already re-watched this several times. I've upped my rating form 8 to 9/10. This was a great way to start off the “Countdown to Christmas” line-up! 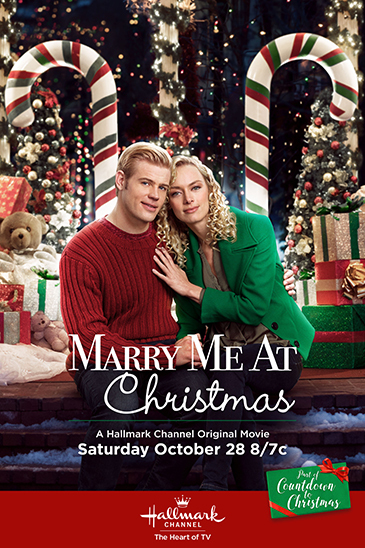 “Marry Me at Christmas” contained a solid story, a fantastic cast, and great messages and lessons! My favorite scene was when Johnny (dressed as Santa) is consoling a young boy after he confesses that he lost his father. That scene, in my opinion, was very touching. I sure hope this movie is given a chance at getting nominated for the “It’s a Wonderful Movie” Awards because I think this movie deserves it! I also hope that Emily Tennant gets a starring role in a Hallmark movie because she is that talented! I loved the movie! I am also trying to find out who the carrollers we're, if they have any music out?